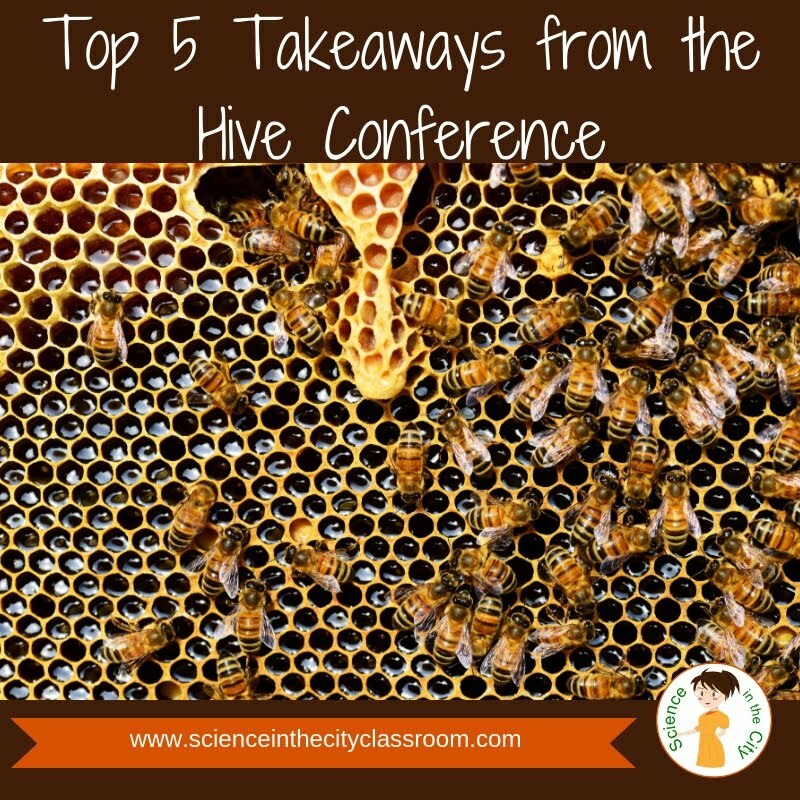 If you’ve never heard of Hive Summit before, it’s described as a free 14-day virtual educational conference. You sign up online, and ‘attend’ by watching and listening to various speakers on innovative educational topics. Dave Burgess - Share your ideas with others, and incorporate others’ great ideas into your teaching! You have access to great resources online to share ideas. Rick Wormelli - A teacher is bound to ensure that students learn, and we can change our grading systems to ensure that grades help encourage growth. Sarah Thomas - Connection and Professional Learning Networks are a fantastic resource. These can be digital or face to face, and can change your path; there are others seeking what you have to offer. Rabbi Michael Cohen - creativity is critical because everyone is a ‘designer’ for someone, and creativity has to be a recurring practice. Matt Miller (Ditch that Textbook) - Use educational technology to fit the tasks, and change traditional tools to be used in ways that are relevant to collaboration. We, as teachers, need to take risks and use technology to develop empathy and connect with others. Michael Matera - Gamification is a way for teachers to overlay a game on top of content and instruction to allow collaboration, challenge, and to help increase engagement. Tara Martin - Be real and be a risk-taker. Encourage change as a means of growth, and be a leader. This makes the collective whole better. Joe Sanfelippo - We are better together in education. Share out the good things that happen in your classroom, and place value on others trying things outside of their comfort zone. Make connections, and show that you care! Carrie Baughcum - sketchnoting is a new form of note-taking; it focuses on getting your ideas down on paper and connecting your ideas, as well as reflecting. I took part in all the sessions, and it is almost impossible to condense 9 presenters into the Top 5 Takeaways, but I’m going to try. As I listened to and read all of these sessions there were several themes that kept jumping out at me. Take Risks - So many of these presenters talked about taking risks and stepping out of your comfort zone. This is where the change happens! Collaborate - We are (hopefully) all in this for the students, and we don’t do our best work alone. We all have good ideas and individual specialties, and it is only through sharing our ideas out, being proud of what we are doing and working together with others that we can integrate those ideas and see the biggest benefit for students. Whether this is within your school, your region, Twitter, Facebook groups, Listserv, or any other PLN, use it!!! Be Unique - Don’t be afraid to be yourself! Some people are artistic, some are great at communication, some are great at organization. Don’t be afraid of that. Kids are unique too, and we need to build on that and find ways for them to learn more individually. Be Creative! - Creativity doesn’t just mean artistic, but it means being able to explore/experiment, and design. These are critical skills, for both teachers, college students, and workers. Reflect - as we try new things and grow, it is so important to reflect, look at what went well, and look at where to improve. And remember, good practices for teachers are ALSO good practices for students! We, as teachers, are in a position to teach our students many of these same skills which will serve them well in almost any career, after graduation, and prepare them to be successful as they go out into the world! So often I think we get focused on students learning content, but learning these skills of collaboration, reflection, creativity, and risk-taking are so important as well. Our classrooms can be a place of real, authentic, engaging learning where students can practice these skills. 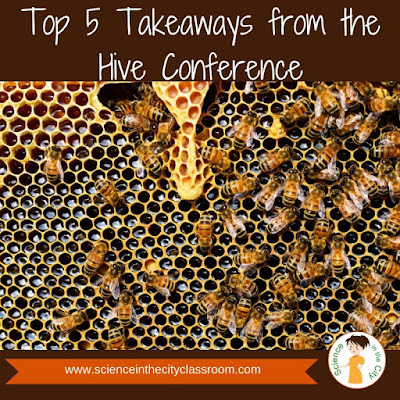 For further information go to www.hivesummit.org and learn how to connect with each of the presenters and get more information! ***Bonus Starting Saturday September 29th through Sunday October 7th, the Hive Summit videos will again be available for a limited time. Sign up at (--->HERE<---), and don’t forget to tweet out what you’re excited to revisit using the #HiveSummit hashtag and/or by tagging @Hive_Summit.